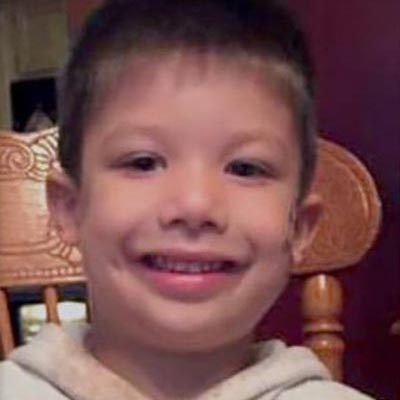 Officials from Camden County and the Haddon Township Police say that there are no signs of forced entry into the home of 3-year-old Brendan Creato, the boy who was found dead after being reported missing last week. They also say there is no evidence that he was sexually assaulted. Brendan was found in the woods a few blocks from his father's home just three hours after D.J. Creato called 911 on the morning of October 13th to say his son had gone missing overnight. An autopsy last week was inconclusive and authorities are waiting on toxicology reports to make a determination on cause of death. Officials told residents that they will continue to see detectives working in the area where Brendan was found and around his father's apartment as they try to piece together this mystery. Anyone with information is urged to contact Camden County Prosecutor's Office Detective Michael Rhoads at (856) 225-8561 or Haddon Township Police Detective Don Quinn at (856) 833-6208. Philadelphia Police have made an arrest in a series of armed robberies on Temple University students last week. 26-year-old Robert Sherrill has been charged with robbery, carjacking, and related offenses. Police have identified and are still looking for his 19-year-old accomplice. Both incidents took place in the early hours of October 15th. The first happened at 12:35 am near 10th Street and Susquehanna Avenue. The pair forced a 21-year-old football player to the ground at gunpoint stealing his phone and keys. The two fled in the victim's 2005 Cadillac CTS. Around 3:15 a.m., they approached a 24-year-old student near 15th Street and Montgomery Ave. and took his phone, keys, and wallet at gunpoint. Surveillance footage released last week lead to tips. Sherrill was arrested at his North Philly home. His bail was set at $500,000. He has a lengthy record for burglary, theft, and drug charges. 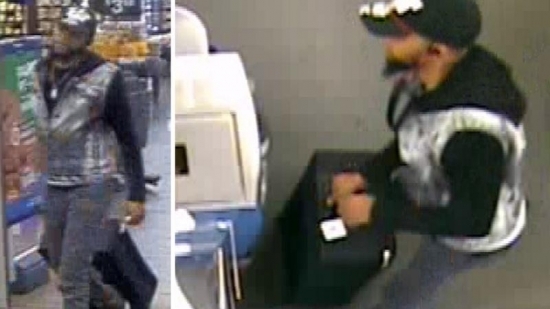 Police in New Jersey are looking for a man who stole $24,000 worth of Apple iPhones from a Walmart in Gloucester County. It happened at 12:45 a.m. on October 1st at the store on S. Black Horse Pike in Williamstown. The suspect entered the store and picked out a rolling suitcase from the luggage department. He then broke into a cabinet in the electronics department and filled the suitcase with 32 iPhones. The man proceeded to the self-checkout counter and paid for the suitcase with cash and walked out of the store. He fled in an SUV along Malaga road. Police have released surveillance images and are asking the public's help in identifying him. (see below) Anyone with information can contact police at 856-728-0800.